Online Exam registration will begin on Monday, January 28th and be open until Sunday, March 17th. Students registering in this window will be charged $98 per exam. There will be a late registration period starting March 18th through March 27th. 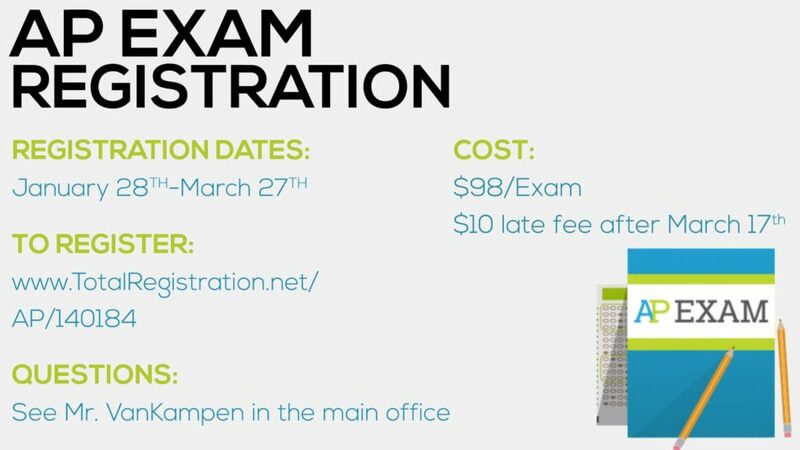 During this time there will be an additional late fee of $10 per exam. In order to register, students should visit hwww.TotalRegistration.net/AP/140184 . The link will also be available on the WV website on the Guidance page. All payments must be made online with a credit or debit card or by mailing your payment. We will not accept payment at WV this year.